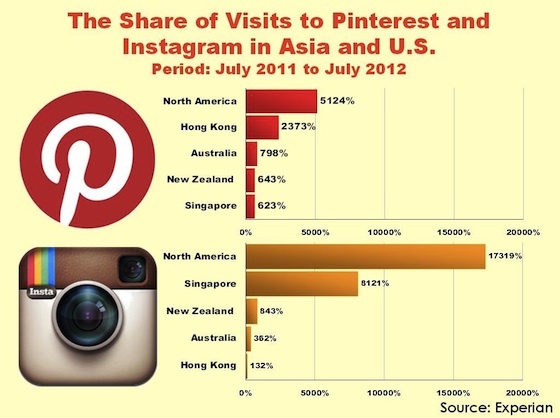 If your business is spending on social media marketing skipping Pinterest can be like dropping a diamond on the street. This social media giant might look like a small player in comparison to Facebook and twitter but the quality of users it drives can be more beneficial than those referred by Twitter and Facebook. People on Facebook and Twitter are basically those users who are just chilling out and connecting with friend so basically they are not on buying mode which makes them bad candidate for lead generation on the other hand pinterest users are basically looking to discover and they interact more with retail offers if presented properly. According to a survey conducted by Wishpond revels that 69% of the users have found their items on the Pinterest which they wanted to purchase. So, here I have listed 10 reasons why your business need Pinterest so if your business is still not on Pinterest then this list will help you rethink on your marketing plan. Pinterest showing really huge numbers according to Experian report this social giant has shown 50% rise in traffic and already crushed the traffic numbers of google +, linkedin and tumblr, so now with 17.8 million users it’s too high to ignore such vast audience since Pinterest have more woman numbers and it’s said 80% of female audience make up Pinterest’s overall traffic so any website with female consumers can drive more traffic to their website. Even if there’s plenty on female audience on this website but let me remind you they are not just woman they have husband and kids so they can buy for them so even if your company products and service deals with male audience you can still use Pinterest to broaden your product reach. Did you know? What makes social media marketing so interesting any guesses Yes, that is, it’s viral tendency a right image can spread like fire so this not just saves money but you get more ROI with long term investment just like in Facebook when you get more likes in your page you build up an audience and when you post your message its get seen across various users that have liked that page which attract even more likes. Here on Pinterest it uses follower feature so when you get more number of followers you image is distributed across more pinners, overtime you can have large targeted audience where you can market your product for free. From years companies have realized the power of social media on brand awareness and that’s why companies are investing heavily on social media promotion but yet Pinterest doesn’t offer much competition like Facebook and Twitter. Most new firms doesn’t even know how to use Pinterest effectively giving you a clear advantage if you somehow manage to exploit Pinterest marketing going through courses like Power of Pinning written by Pinterest expert Melanie Duncan can give you unfair edge over your competitors. Get your seats early because there are not going to be much free space in future as Pinterst is growing rapidly with a growth rate of 111% each month. Pinterest offers free business account with whole lot marketing features everything for free of cost. You don’t have to reopen a new account for it you can easily convert your normal account into business account. Pin it Button: Just like twitter tweet button you can embed pin it button on your blog which will enable your user to pin your images on their pin board this will generate free traffic to your website. This button works with popular publishing platform like Wordpress, Tumblr, Blogger, Wix and many others. Analytics: On business account you get integrated web analytics which tracks record of pins made by users, clicks and impression it’s generated just like your Google analytics dashboard. Widget: Along with “Pin It Button” you can also use widget to boost traffic to your Pinboards or your profile. Buy It button(Coming Soon) : Pinterest planning to launch buy it button soon which will let users buy on Pinterest without directly leaving there dashboard. This option will definitely help ecommerce website do more business as they can now directly sell their product on Pinterest. It going to be loaded with mobile shopping features and all this without taking penny from merchant Pinterest has announced that they will take no charge from your sales so you get 100% profit out of your sales. It’s not surprise to see spikes of new traffic from a pinned content that you have pinned a month ago the Pinterest search can bring new followers to your board and keep your traffic up the surges happens when a user with lots of followers discovers your pins and repins them to his or her followers this might get repined further by more power users thus starting a unstoppable chain reaction but you have to get some interesting content that is shareable. When you create a profile on Pinterest there you can leave your website url to your website or your services this can generate free traffic to your website if you have good number of followers people want to know more about you and your website so they will more likely to visit your profile page and you can easily funnel those visitors to your website by adding your website on your profile. What good thing about it is that that that link going to stay lifetime which can bring traffic to your website for whole lifespan. Pinterest profiles are seo friendly so it’s not uncommon to see your profile while searching on Google to get full benefit do some optimization of your profile by adding relevant titles and description you can also start some link building campaign for your profile page to give it some serp boost and since Pinterest is an authority website it won’t take much time to rank it on moderate competitive keyword. Why most people fail to get any sales is by targeting wrong audience if your product is seen by those who don’t want it, then you can’t aspect to make any sales so you need to focus your hard work in presenting your product and services to right audience. Social networks have always bad on relevancy which makes it bad conversing traffic but with Pinterest if you follow certain habit you can easily get targeted audience like pinning on relevant pinboards this way you might not get 1000 of followers but actually you don’t need such huge followers you need right followers that are relevant to your product or services. After all the main goal is to make money. When it comes to creating content for Pinterest all you need is good quality HD images that is shareable so if you are selling bags all you have to is to click some cool pictures and that's takes merely 10-30 seconds and then write 2 lines description and that's it you are ready for marketing your product. So comparing to other medium such as blogs you don't have to write 1000 words content which can take hours to complete so it's really fast way to promote your product. 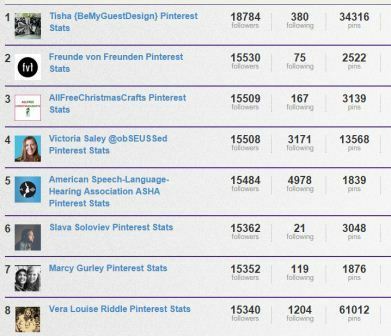 If you become an authority on Pinterest you can open few more doors in your marketing effort by connecting with other power users if you establish yourself as interesting content provide you can ask them to pin your post thus boosting your overall marketing efforts remember these power users can bring flood of followers to your profile just by single pin.